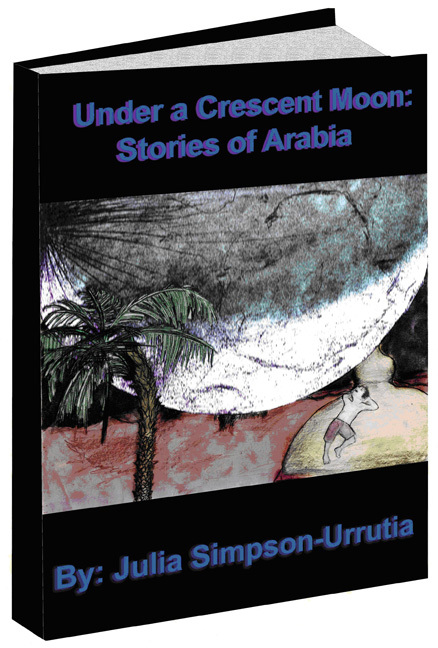 Under a Crescent Moon is a collection of stories written while I lived in Saudi Arabia. Many have been published or broadcast in Saudi Arabia, the U.K. and the U.S.A.
“Fable of a Cherry Tree” is dedicated to cherry trees everywhere because there are, very quietly, so many of us. Some of my readers like that story best. They feel like cherry trees. “The Meat Market” happened to someone else. She is now living in Yemen. I miss you, dearest! “Up in Smoke” and “The Outing” have been aired over the BBC World Service. “The Swedish Boy and the Camel’s Back” is about how confusing parents’ judgments are, especially when the parents come from different countries. Reading Julia Simpson-Urrutia’s collection of short stories is like taking a trip to another world. Her sense of wry humor, intermingled with a captivating, unique literary voice, makes you feel as if you are walking the streets of Jeddah by her side. We can feel the sweltering heat–in a literal and figurative manner. In “The Outing,” the saddest entry in this collection, we feel the pain of a young girl struggling to find her identity amid the male-dominated world that is Saudi Arabia. (Hint, hint: it is truly no sunny day at the beach.) I found “Up In Smoke” to be the least culture driven story of this collection because it presents a depressing but universal truth: entitled rich people feel little empathy for those less fortunate, and zero guilt for keeping them that way. On the lighter side, the humorous “Numbskull” proves there are no real excuses for being a self-absorbed idiot, while “Stings Attached” gives new meaning to the term going postal. 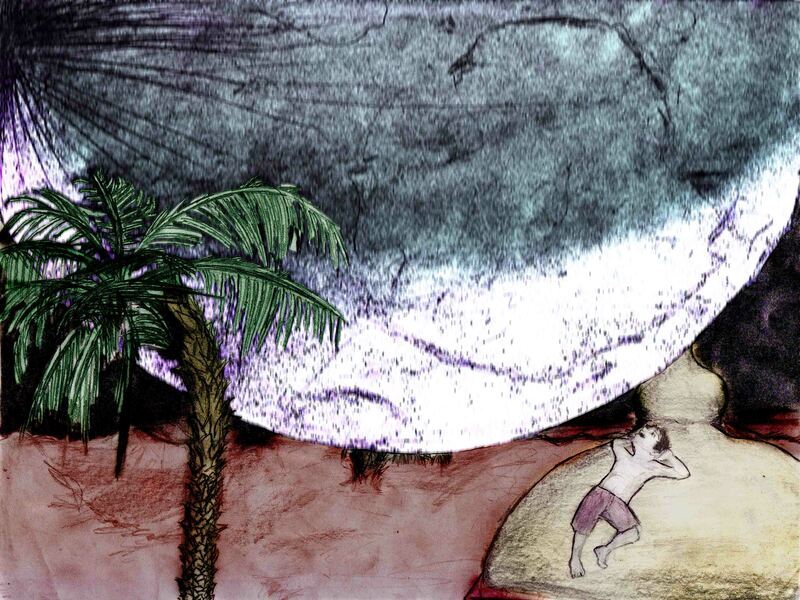 The collection finishes with “The Desert Lynx,” a sensory-rich tale that suggests if we believe in something strongly enough, we can will it into reality. If you are fascinated by the exotic culture of Saudi Arabia, don’t hesitate to absorb yourself in this amazing literary visit. You’ll be glad you did. Under a Crescent Moon is available as an ebook at Amazon or Barnes and Nobles. to me this book seems very interesting and i would love to read more of it i also think you are a very good writer with your own style and experiences countinue to do a good job and may God bless you.